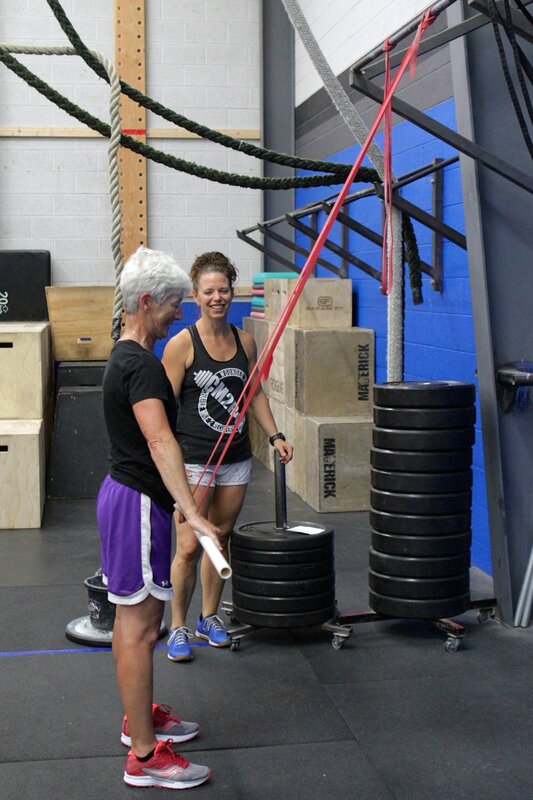 CrossFit Flagstaff offers a wide variety of programming options for kids and adults of ALL ages. Constantly varied functional movements done at high intensity. The WODs are scaled and modified to each athlete’s level and performed at the highest intensity that the individual can sustain with good form and proper technique. All functional movements to include 3 modalities; mono structural, gymnastics and weight-lifting. To begin your CrossFit journey, we offer a 6 session private training curriculum to get in the WOD (workout of the day), scheduled according to your availability. During the Foundations course we are going to want to know a little more about you. We will be conducting assessments in order to understand you, your personal goals, current health, concerns or up and coming competitions. Once we have some understanding of your needs, we can help you achieve your goals. Our Foundations course is mandatory in order to move on to the other group class times. Please do not hesitate to let us know if you have questions. We currently offer two different classes for kids. CrossFit Kids includes ages 6-12. CrossFit Young Athletes includes ages 12-17. Kids and Young Athletes are welcome to the Saturday class. CrossFit Preschool Classes are currently on hold. Please let us know if you are interested. CrossFit training is also used by local high school athletic teams during their off-season training, as well as supplemental to the in-season training. Our goal is to make fitness FUN while delivering a fitness that is, by design, broad, general, and inclusive. Our specialty is not specializing. Healthy living requires that our kids push, pull, run, throw, climb, lift, jump, effectively and safely as well as laugh, work as a team, be confident, challenge themselves and become leaders, regardless of whether or not they play athletics. Private Sessions are 1 hour in duration. Sessions must be purchased prior to making an appointment. Cancellation requires 12 hours notice or you forfeit said session. Aerobic Capacity - track workouts, swim workouts, row workouts.